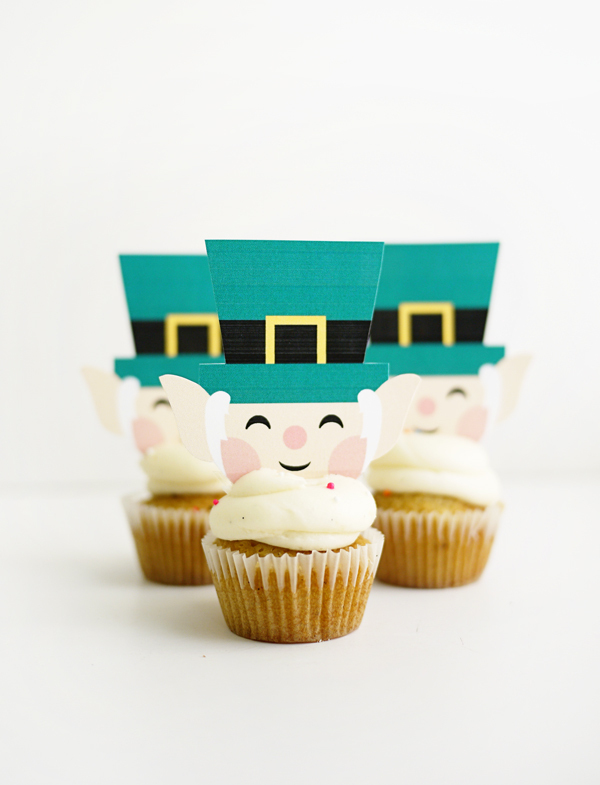 Prepare to “charm” all your friends this year with these adorable leprechaun mini-cupcake toppers. 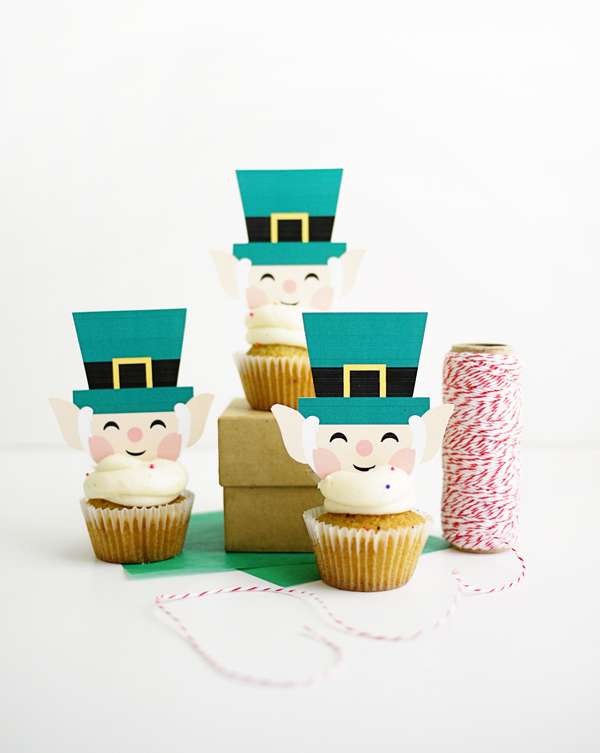 These easy to make toppers are the perfect last minute addition to a St. Patrick’s Day party and are a creative way to dress up anything with frosting. No one will be able to resist these bearded silly treats! 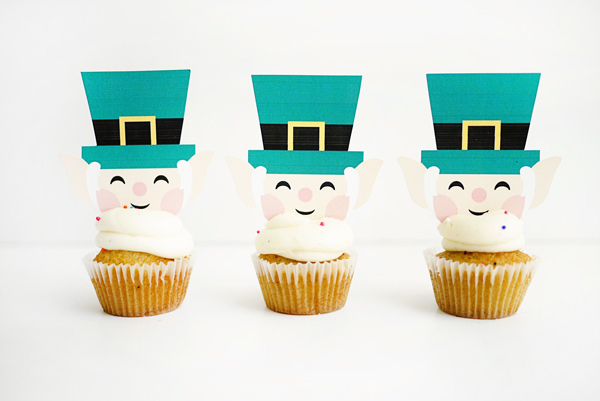 Step 1: Print out the Printable Leprechaun Cupcake Toppers Template on 8.5 x 11 white card stock. 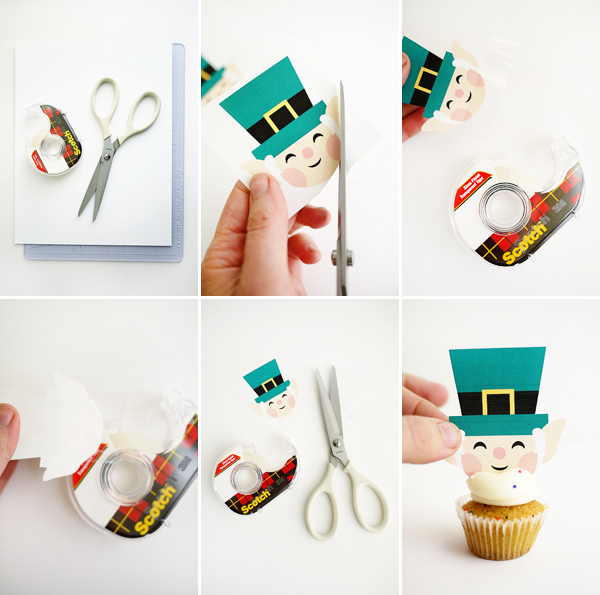 Step 2: Cut out the leprechaun heads with scissors. Step 3: Place a piece of tape (about 3”) at the bottom of each leprechaun head and fold over. Trim off excess tape. Step 4: Place the head directly into a mini-cupcake. 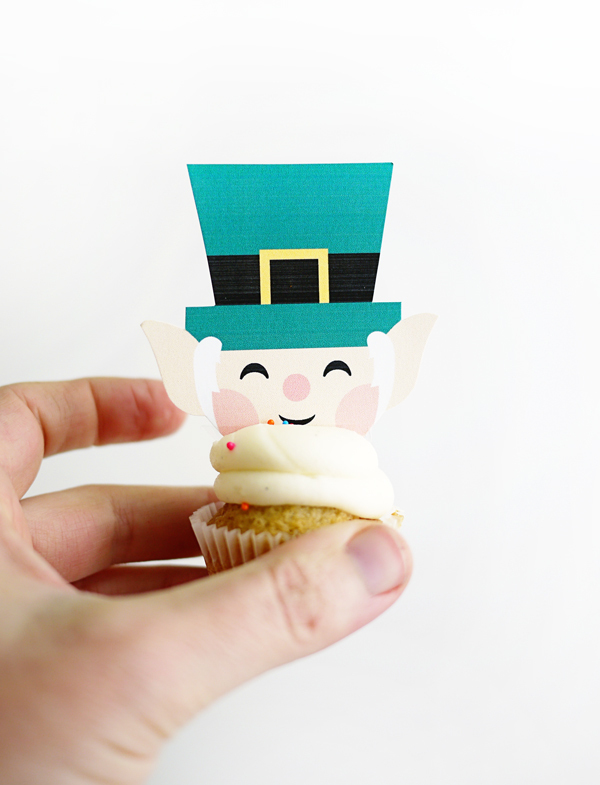 If you prefer to use different colored frosting then you can easily color in the leprechaun’s hair with a marker to match. So adorable! Perfect for St. Patrick’s Day! This is precious! What a great idea! Aren’t those cute! What a nice thing to offer your readers. adorable! can you recommend a color printer for these type of craft printables? I find ones that print great photos don’t print quality art/craft printables. Thanks!! This is so adorable! The Leprechauns are so cute! The cupcake toppers are so cute. Love them! Not related… but I would LOVE an update on the 52 dinner parties idea! I actually check back often just to see if you’ve written about it Any chance of a post about how the idea/challenge is going? Please?? Good idea! I’ll do a post later this month. Super cute idea! They make me want to organise a St Patricks day party just so I can make them!